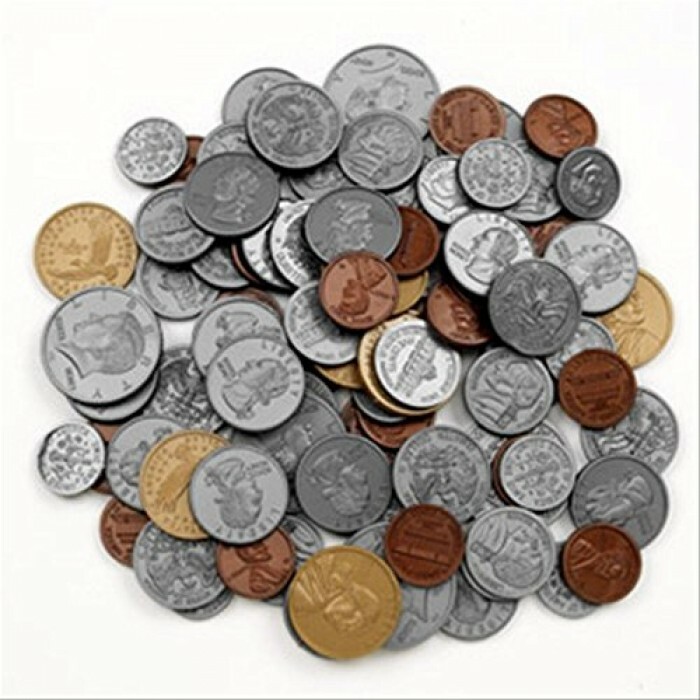 Set of 94 realistic-looking plastic coins includes 30 pennies, 20 nickels, dimes and quarters, and 4 half-dollars and 2 Sacageweas. Coins feature serrated edges. Ages 5 to 9.